Euro profile. Key operation both sides. Includes 3 keys and fixing screw. All cylinders are supplied with a different key cut. Sizes are overall lengths, first measurement is the external side. 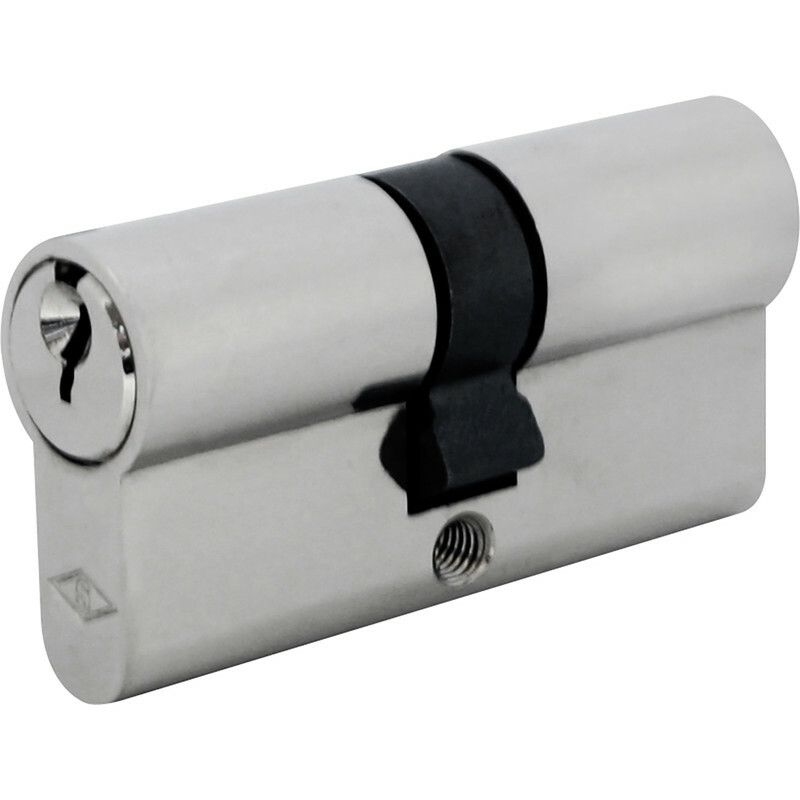 6 Pin Double Euro Cylinder 35-35mm Nickel is rated 4.8 out of 5 by 25. Rated 5 out of 5 by Mikedc from Nice lock Looks nice, easy to fit. I note the key length appears shorter than the lock it replaced. Can't comment on reliability as just fitted. Rated 4 out of 5 by Mikedc from A good priced lock for upvc door Easy to fit, looks nice but early days. Given 4 stars as too early to give 5 Star. Rated 5 out of 5 by ska64 from Easy fit Bought to replace new home,as previously rented out,so didn't know how many duplicate keys out there. Fitted in 2 mins made me wife feel safe,so a few brownie points earned.